Pigeons are everywhere. As one of the most common birds in America, property owners are forced to deal with them impeding on their property. While they may seem like just small pests, they can have major negative impacts on your property if they aren’t properly and quickly removed. First of all, having too many pigeons on your property can make it look bad. 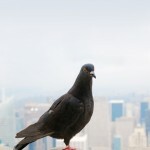 If your property is residential, pigeons can be pests when it comes to enjoying the exterior of your home. 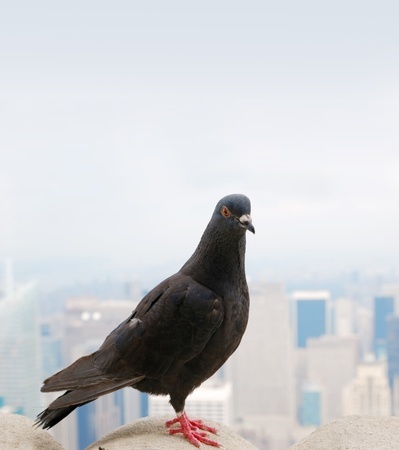 Commercial property with too many pigeons can actually drive away potential customers. And when pigeons refuse to move on once they have taken a like to your property, pigeon droppings are sure to be an issue. As if having droppings all around isn’t unattractive enough, the acidity of the dropping can actually cause long-term damage to your building. High levels of uric acid can eat away at brick, metal, paint and concrete. Overtime, the integrity of the surface is eaten away and needs attention. They can even be heard landing on roofs and windowsills, taking flight and walking. If you start to see a few pigeons here and there around your property its best to take preventative measures against an infestation. It is much easier to prevent these birds on your property than it is to get rid of them. However, if you already have a large pigeons problem, it can be overcome employing professionals that know exactly how to discourage pigeon presence.But not before keeping those birds away, once and for all.